Premier Security Guards are perfect for any vacant properties, whether you need daily access or simply the peace of mind that your property is protected. Premier Security is perfect for anyone that needs a reliable, hassle-free security solution for schools, universities, large companies, banks, government agencies, public housing organizations and construction sites. If you have a vacant property, we have the security to keep you and your building safe. For ongoing security needs, we also offer a 24/7 manned guarding service to give you true peace of mind. Often the presence of a guard on site is enough of a visual deterrent for opportunistic vandals and thieves, however, rest assured that our security guards also offer a formidable physical barrier for your commercial, residential or school property. As a property owner, you’re likely to find, at some point or another, your property is vacant for an extended period of time. Vacant and unprotected properties are attractive to vandals, thieves, and squatters, so it’s important you allow Premier Security protect your buildings from such crime. If you have people coming in and out of your property during its vacant period, we keep track of who is entering and grant clearance on those you have approved. It is important for us to keep track of every activity going on in your absence, it is our responsibility to secure your property. 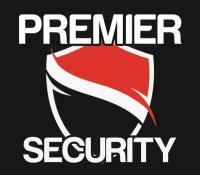 "For ongoing security needs, we also offer a 24/7 manned guarding service to give you true peace of mind. "